The church is not dying. Yes, the church in the West—the United States included—is in transition right now. But transitioning is not the same as dying, particuarly if you hold the belief that Christianity is represented by people who live for Christ, not check “Christian” on a survey form. While I believe we need to understand reality inside our ranks, I don’t believe the situation is quite as dire as many are making it out to be. Actually, no serious researcher believes Christianity in America is dying. Not one. Instead, I believe this current cultural shift is bringing clarity that will assist in defining who we are as Christians, and that is a good thing in some ways. I have talked about this before, but I think it bears repeating, if for no other reason than to encourage us in our shared mission once again. In the American context, 2009 was a turning point in regards to the perception of Christianity’s health in the United States. That year, the results of the American Religious Identification Survey (ARIS) caused quite a stir. In its wake were several articles in prominent national publications touting the coming demise of Christianity in America. And Americans bought in. The ARIS results showed the percentage of self-identified Christians had fallen 10 percentage points, from 86 to 76, since 1990. It also showed that the “Nones”–those who claim no religious affiliation–rose from 8 to 15 percent in the same time period. Following the release of the results, Newsweek ran a cover story entitled “The End of Christian America.” Earlier the same year, Michael Spencer–the Internet Monk–penned “My Prediction: The Coming Evangelical Collapse” that was picked up by the Christian Science Monitor. The settled narrative became that Christianity was in precipitous decline. The sentiment has continued to grow ever since. An October 2012 Pew Research Study added fuel to the fire, stating that the “Nones” had increased more than five percent in the previous five years alone. A cursory look at the numbers may very well lead people to frightening conclusions, and the numbers are only going to get worse when you look at people who call themselves Christians. That being said, the sky is not falling. Christians are not leaving the faith in droves, even though some people are screaming that loudly. In many cases, people who once called themselves Christians are simply no longer doing that. That is a different issue, which I explained further in my USA Today column last year. Most believers likely realize that though 86 percent of Americans checked the “Christian” box on a survey in 1990, the population was not made up of that many genuine followers of Jesus. For many, the idea of being Christian and being American are one-in-the-same. But the church defines “Christian” differently than culture at large, and the distinction is an important one to make. People who once called themselves Christians are simply no longer doing that. Around 75 percent of Americans call themselves Christians—they “self identify” as Christians, regardless of how others might define them. I find it helpful to separate those who profess Christianity into three categories: cultural, congregational and convictional. Now, these are NOT exact numbers, but broad categories. The numbers are different from region to region, but as a whole, the categories might be helpful. The first category–Cultural Christians–is made up of people who believe themselves to be Christians simply because their culture tells them they are. They are Christian by heritage. They may have religious roots in their family or may come from a people group tied to a certain religion, e.g., Southern Evangelicals or Irish Catholics. Inside the church, we would say they are Christians in name only. They are not practicing a vibrant faith. This group makes up around one-third of the 75 percent who self-identify as Christians—or about a quarter of all Americans. 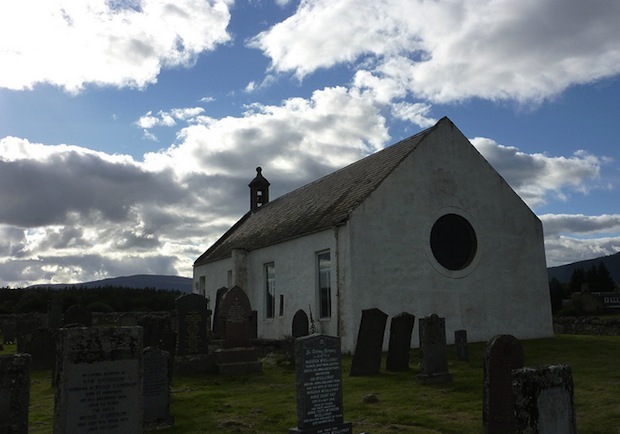 The second category–Congregational Christians–is similar to the first group, except these individuals at least have some connection to congregational life.They have a “home church” they grew up in and perhaps where they were married. They might even visit occasionally. Here again though, we would say that these people are not practicing any sort of real, vibrant faith. They are attendees. This group makes up another third of the 75 percent—or about a quarter of all Americans. The final group–Convictional Christians–is made up of people who are actually living according to their faith. These are the people who would say that they have met Jesus, He changed their lives, and since that time their lives have been increasingly oriented around their faith in Him. Convictional Christians make up the final third of the 75 percent—or about a quarter of all Americans. The Church is not dying. It is just being more clearly defined. Interestingly, since 1972 and according to the General Social Survey, the percentage of the final type of Christian in the U.S. population has remained generally stable. On the other hand, mainline Protestantism has declined, but other areas within evangelicalism have grown slightly to offset that loss. As I see it, the numbers of people who those of us in the church would say are actually committed Christians—those who are practicing a vibrant faith—are not dying off. The Church is not dying. It is just being more clearly defined. The “Nones” category is growing quickly, but the change is coming by way of Cultural and Congregational Christians who no longer feel the societal pressure to be “Christian.” They feel comfortable freeing themselves from a label that was not true of them in the first place. Convictional Christians are not leaving the faith; the “squishy middle,” as I like to call it, is simply being flattened. So for those who really don’t have any skin in the game, shedding the label makes sense. As Christians find themselves more and more on the margins in American society, people are beginning to count the cost. While it used to serve Americans well to carry the label “Christian” in most circumstances (think about running for public office, for instance), it can actually be polarizing or considered intolerant now. So for those who really don’t have any skin in the game, shedding the label makes sense. As the trend continues, we will see the “Nones” continue to grow and the church lose more of its traditional cultural influence. Christians will likely lose the culture wars, leading to difficult times ahead for us. But we do not need to lose hope. This is not cause for despair. It is a time to regroup and re-engage. Christianity may be losing its top-down political and cultural influence, but Jesus spoke of His followers making an impact in a very different manner. He taught that God’s kingdom was subversive and underground. He used examples like yeast, which changes things from the inside, and mustard seeds, which are small and must be planted in order to grow up and out. As the distinctions between Christians and an ever-growing post-Christian culture emerge, we will have to set aside any nominal belief systems and become active agents of God’s Kingdom. The answer is not found in waging cultural wars incessantly, or in making a theological shift to the left to pacify a culture offended by the gospel. The answer is in all of God’s people, changed by the power of the gospel and propelled by love, moving into the mission field as agents of gospel transformation. Yes, we need a serious dose of what I write in Christianity Today a few years ago: Curing Christians Stats Abuse. Facts are our friends, and the facts do point to a cultural change. And, in the midst of that cultural change we do see that American looks more like a mission field. However, what we need is a mobilized—rather than demoralized—mission force. Bad stats and hyperbole do just that—demoralize God’s people. Today, we need a mobilized mission force in the midst of this mission field. So, it’s time to time to work for the sake of the gospel, and to live for the cause of the gospel, not run around proclaiming the sky is falling.